Membership in the K-State Flying Club is open to the public! 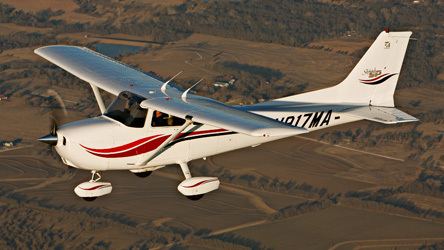 Come fly with the K-State Flying Club! We offer aircraft for personal use and pleasure, as well as flight training for Private, Instrument, and Commercial certificates. We have several club-approved instructors that are ready to help you earn your ticket! Our aircraft are available to members for personal use (non-commercial) and cross-country flights. The K-State Flying club is located at the Manhattan Regional Airport (KMHK) in Manhattan, Kansas. Take a look at our Aircraft and hourly rates! If you would like to become a member, Click here to complete an application. ©2018, KS Flying Club, Inc. All rights reserved.